Showing results for tags 'vigil'. Little girl - size AFF RIG! Infinity "31G" with PD Silhouette 210 main, OPTIMUM 193 Reserve, AFF BOC main handle. New Cypres 2, 450 jumps, no reserve rides. In good condition and ready to go to work for you, only $4,900! Click here for complete photos and details. This gear is basically brand new gear! This entire system only has 4 jumps! Everything on this system is in great condition. Certified rigger inspection reports will come with all components. It consists of a UPT Vector container, Safire3 209 main, PDR 193 reserve, and Vigil Cuatro AAD. Information for components are as follows.... Vector V355 - DOM 05/2018 - Size V355 (fits canopies sized 190 - 230) - Colors Black/Yellow - approximate human size 5'5" to 6'0" maybe 180-230bs. 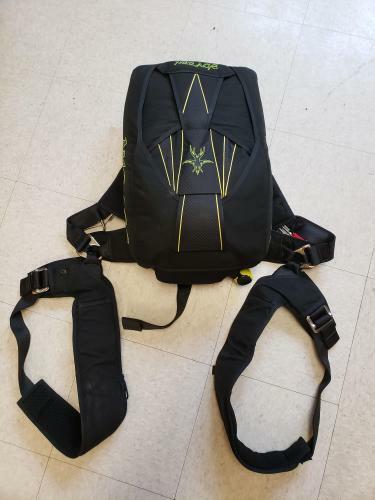 Options included are... Skyhook Spacerfoam Back, legs, and stabilizers Hip and Chest Rings Hook Knife Hackey Handle Semi Stowless Bag Safire3 209 - DOM 07/2018 - Colors Yellow/Navy PDR 193 - DOM 04/2018 - No rides! Vigil Cuatro - DOM 07/2018 - No fires! Ready for immediate sale. Free shipping included within the USA!